Comment: 2 story house with walkout basement. Exterior is partial brick from the ground to 4 feet. Comment: House paint and trim. Comment: I have a red and green colored master in a manufactured home and one additional brown wall in a second bedroom, I am concerned that the present colors are so dark and coverage with an almond-beige will be difficult at best.efore I buy a bedroom set I wish it to be painted, there are also some picture wholes in the wall,it would be nice to fill them first. Comment: Would like to get an estimate to paint ceilings in first floor of my house. I would guess about 800 sq ft.
Longmont Painting Contractors are rated 4.80 out of 5 based on 1,525 reviews of 75 pros. 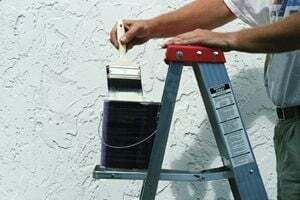 Not Looking for Painting Contractors in Longmont, CO?